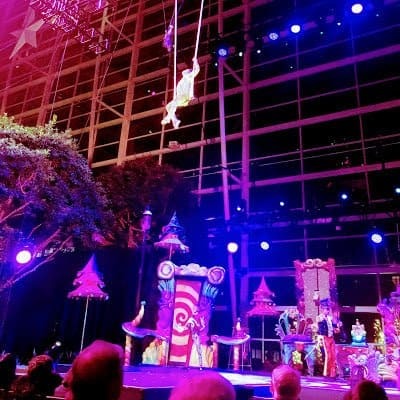 So much fun to be had at Gaylord National’s Christmas on the Potomac! 3. Look for discount tickets. Check out local sites like Certifikid, Groupon, Goldstar and the Gaylord Resort page on Facebook for discount codes. 4. Do NOT Wear a Bulky Coat. Bring gloves, hats and a not-so-bulky coat to wear. It’s 9 degrees inside ICE!, so you’ll need the above. And wearing a bulky coat as well as their parka can make you feel quite tight and restrict movement, inducing meltdown-central, so if you have a thin but warm coat, that’s ideal. All that said, my child wore her Lands End winter coat and did just fine. She did fit in a nap on our way to the Gaylord though, so there’s that…. About to begin our fun at ICE! 5. Dress in layers. 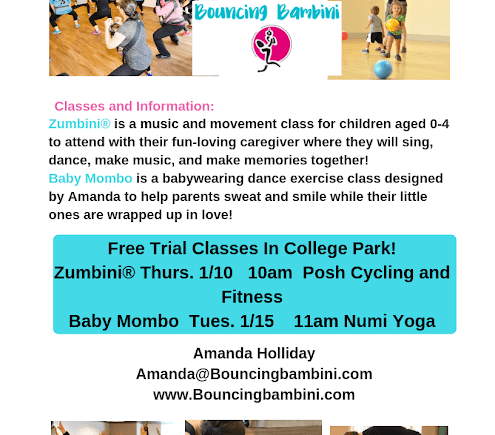 As a follow-on to above, this will give you and your child more flexibility should they feel cold or warm. 6. Touchscreen gloves. Wear your fancy touchscreen gloves to avoid having to take off your luddite gloves every time you want to take a picture or use your phone. 8. TUCK THE BLUE PARKA UNDER YOUR CHILD’S REAR! That slide is ice, ice cold! Plus, you slide faster with the parka under your rear. 9. Keep your cell phone in your back pocket. Cell phone may crash as temperatures are so low. Mine did. I found that keeping it in back pocket of my jeans (rather than coat pocket) then kept it warm enough to avoid subsequent crashes. 10. Parking. If you’re going during a weekday, parking shouldn’t be an issue as there’s a self-parking lot for ICE! attendees and there are lots of parking options within walking distance to the Gaylord National Harbor. If on a weekend, I’d recommend buying parking online here ahead of time. 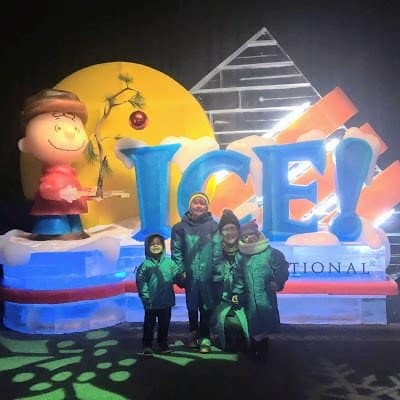 Because I’m such a giver, sharing even more tips to satiate your type-A planning proclivities and enhance your experience while at the Gaylord National Resort for ICE! Cirque Dreams Unwrapped – such a good show! 2. Amazing Gingerbread House Display. 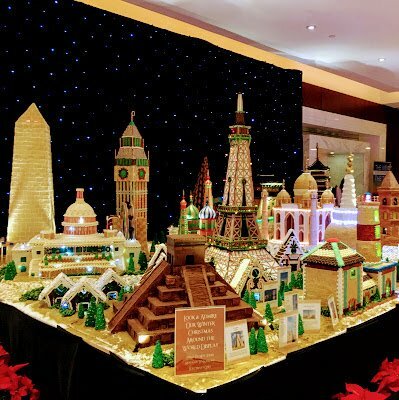 Check out the Gingerbread House Display in the main lobby of the Gaylord National Resort. So many cool, artful houses put together for all to wonder and explore. FREE! So many wonderful gingerbread houses to explore – and smell! Fun times at the Awakening! 4. Arcade! There’s an arcade on the lower level of the Gaylord National Resort (by the pool). Great way to spend some time if you’re waiting for Cirque or waiting for other kiddos to wrap up in Chrismas Village. 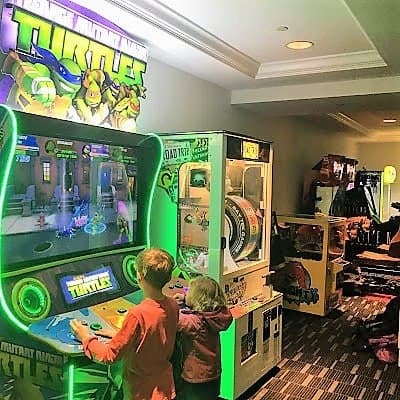 TMNT, Racing & more games at the Arcade! 5. Hungry? There are places to eat inside the Gaylord National Resort as well as many restaurants to choose from outside. 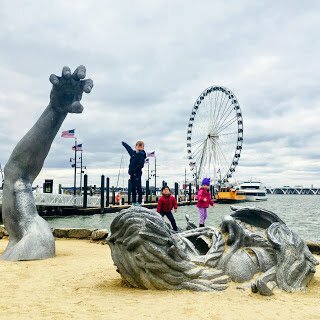 We had a good, kid-friendly experience at both Fiorella’s Italian Kitchen (sharing a pizza is always a good, affordable option) and Public House National Harbor (kids meals $8.99). 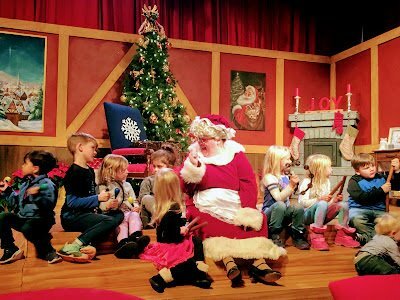 If you have attended ICE or any of the Christmas on the Potomac events at the Gaylord National Resort, what tips might you add to the list? Enter in comments below! I received complimentary tickets to attend ICE! and Storytime with Mrs. Claus with my family. No additional compensation was received and all opinions – especially the funny ones 🤣 – are my own. 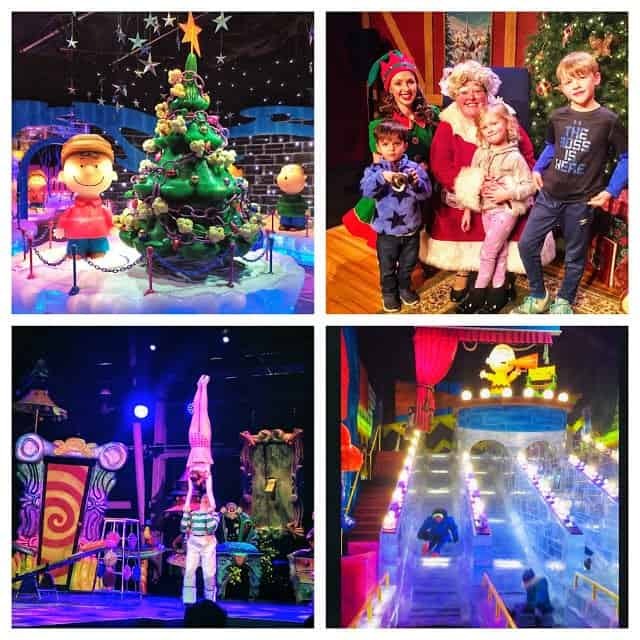 For more festive, fun ideas, check out Route One Fun’s 2018 Holiday Events Guide! And follow Route One Fun’s Facebook and Instagram pages to stay in the know about other fun happenings along Route 1 and the DC Metro Area!